You Are Here: Home > Download Our Buyer’s Guide to the 2017 Jeep Grand Cherokee eBook Today! When Richmond, New Baltimore, and Detroit area customers start looking for their next SUV, there’s a few main concerns they’re going to have. They need a vehicle that has the handling and the power to get them through any number of road conditions. 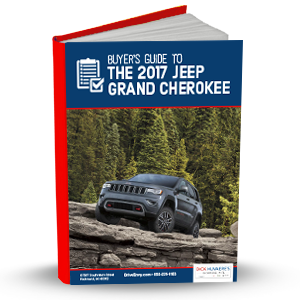 If you’re ready to take the next step in the car-buying process, download the FREE Buyer’s Guide to the 2017 Jeep Grand Cherokee eBook today. It’ll teach you everything you need to know about this great SUV!